Well, game number 7 is in the books and we FINALLY get a off day. Does anybody else feel like the Cubs have already played an entire season, or at least a solid month of games in September? We seriously don't have 155 more of these, do we? And that's just to get through the regular season. Working-Fukudome in every aspect of the game, Marmol, D-Lee's Bat, Zambrano, Dempster as a starter, the Bench. Not Working-Soriano in any spot in the lineup, Ted Lilly, Scott Erye's bullpen spot, Bob Howry. Fact of the day...Carlos Marmol has as many innings pitched as more than half the starting rotation. Thank God for an Off Day. Lionel-can we get some style out of you in the future? I mean, this is a Bush League effort at best. How about some pictures to go along w/ the content. You know nobody that would ever come on here can read. How the hell are they supposed to know what's going on? But then again, when does Ferris Bueller ever NOT solve a problem? Jumbo, it's an off day, not a day off. They are two wholly separate things. I expect nothing but professionalism from my co-bloggers. 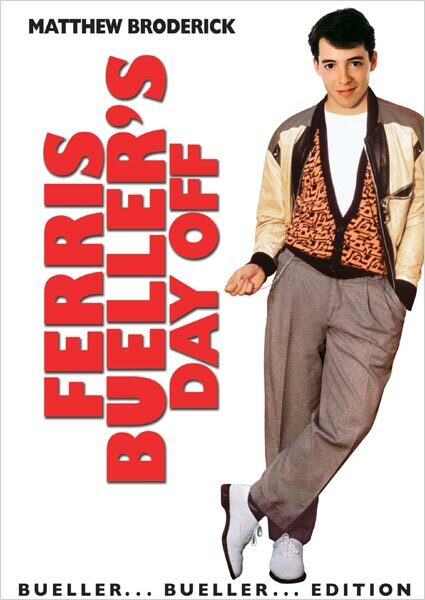 Plus, to borrow from a conversation between Peter and Gillian in Family Guy (as I'm sure I will be quoting cartoons frequently) "They should've called it Ferris Bueller's Day On, because he was so on that day." YOU search Google Images for a decent "off day" picture then, Lionel. I didn't find one. So you will get Ferris. And you will like it.